The Norwegian city of Oslo has won the European Green Capital Award for 2019. The title of European Green Leaf 2018 goes jointly to the Belgian city of Leuven and the Swedish city of Växjö. These prestigious titles were awarded by the EU Commissioner for Environment, Maritime Affairs and Fisheries, Karmenu Vella, at an awards ceremony in Essen, Germany, the current European Green Capital. 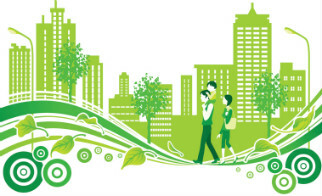 The European Green Leaf Award is a competition aimed at cities and towns across Europe, with between populations of 20,000 and up to 100,000 inhabitants, that recognises commitment to better environmental outcomes, with a particular accent on efforts that generate green growth and new jobs. The award is presented on an annual basis by the European Commission in conjunction with the European Green Capital Award. To identify cities able to act as a ‘green ambassador’ and to encourage other cities to progress towards a better sustainability outcomes. Oslo was commended for working systematically to re-open waterways with 3,000 waterways re-opened so far. The jury appreciated Oslo’s active approach to connecting with their citizens particularly with the use of technology and innovation in citizen participation such as text message invitations to public consultations and politician speed-dating. The jury also appreciated Oslo’s objective to address common challenges such as reclaiming space for citizens over cars by working with other cities. Leuven has placed a strong focus on climate change, introducing a number of actions to achieve its goal of being carbon neutral by 2030. One example of this is the reinvestment of gains made from energy efficiency into new measures for green energy. Public participation features strongly in its climate and energy projects. Växjö has demonstrated strong leadership in sustainable development, making a commitment in 1996 to be fossil fuel free. It was also the first Swedish city to use biomass for district heating and one of the first to start implementing Agenda 2030.